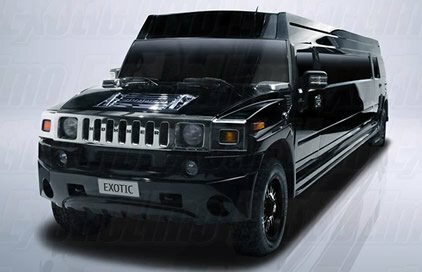 If you’re looking for a Hummer limo for a big day out or a special event, then Exotic Limo is the leader in the industry with Melbourne’s largest range of SUPER SIZED stretch Hummer’s. 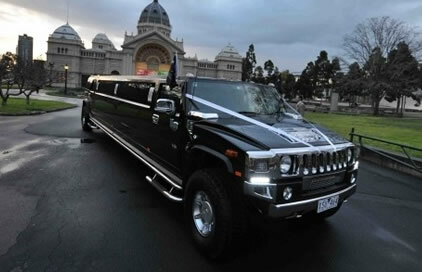 Why Hire a Hummer from Exotic Limo? 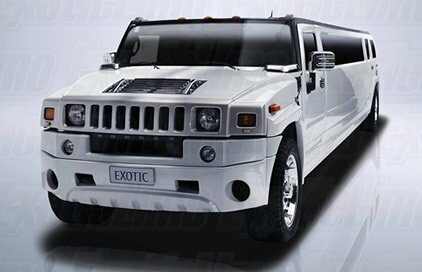 Exotic Limo’s stretch Hummer range offers a wide array of options with a line up Hummers in a variety of colours including Pink, white, or black which can accommodate 8 to 24 passengers in absolute luxury and style. 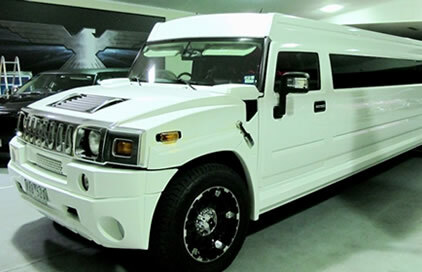 Our vehicles are a party on wheels and most of our stretch Hummers include “gull-wing” doors with electric staircases for easy entry, entertainment options including LCD TV’s, and iPhone docks, bars, and fully integrated climate control systems so you and your guests will be comfortable for the entire ride.  Exotic Limo’s 5 star service is second to none and we have hosted thousands of events in Melbourne during our 27 year history. 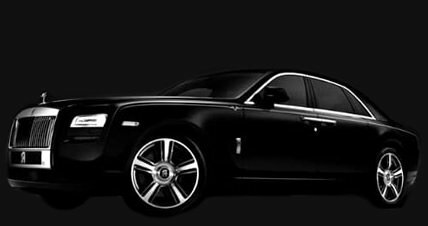 It’s our special attention to detail and professionally trained chauffeured drivers that makes us the best in the industry. 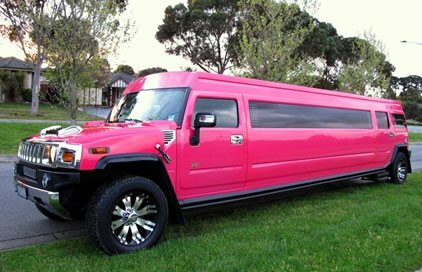 I recently had the ‘pleasure’ of trying to arrange transport for 96 girls for a gigantic Hens Party. I rang a few companies and got zero help at all from a bunch of grumpy old men, until I phoned Tim from Exotic Limo. The moment I explained my situation he immediately reassured me that this was a ‘piece of cake’ for him to arrange. 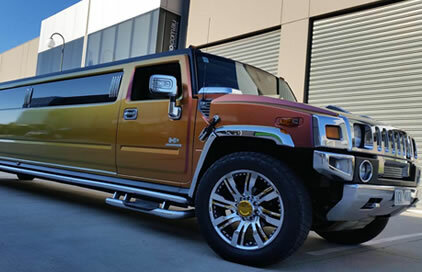 Not only did he help me book 7 different stretch Hummers in every colour you can imagine – Gold, Pink, Black and White – but he offered us a very generous package price discount as well. On the night all the Hummers looked so pretty, they were so clean inside and out and the Drivers were all Gentleman who looked after us ladies and walked us to the door of the restaurant with umbrellas because of the rain. 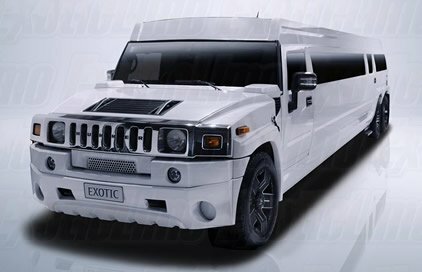 I’ll be back to Exotic Limo in the future, that’s a promise.